In this edition of #LovingTheBurg, Gretchen sits down with city council member and community leader Benny Zhang to discuss local politics, community growth, and why he cares so much about the future of Williamsburg. When speaking about the community of Williamsburg Benny had this to say, "One of the first things that struck me is how nice the folks are here." In this edition of #LovingTheBurg, Gretchen sits down with local vegan and mindfulness teacher, Paul Crapol to discuss veganism, politics, and why he loves calling Williamsburg home. When discussing one of the things Paul loves most about Williamsburg he says, "I like meeting new people... and Williamsburg is great because you can strike up a conversation with people." 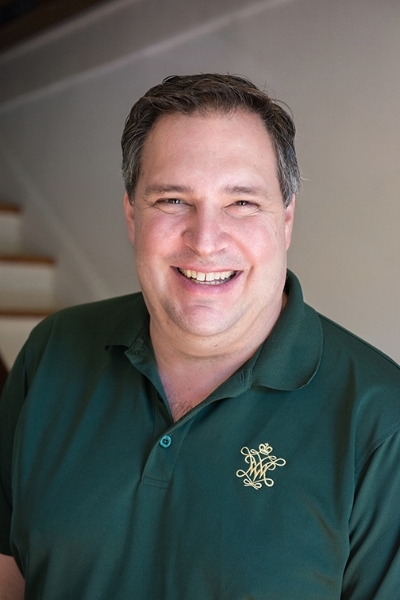 For this edition of #LovingTheBurg, Gretchen sat down with Andrew Langer of the Langer Cast to discuss all the amazing places he's discovered in Williamsburg, military family life, and why he's been loving Williamsburg, VA since his youth. When describing his perfect Williamsburg Saturday with family, Andrew says, "If I had to start a perfect Saturday it would start with the Farmers Market. Then a trek out to the winery for lunch. Then in the afternoon a trek out to one of the beaches on the Colonial Parkway. And in the evening something cultural." To hear more about his family's adventures in the Burg check out this edition of #LovingTheBurg! We all love the Burg. With its blend of history and modern life, there’s always something to do if you know where to look. Which is why Odd Moxie is on a mission to learn what everyone who comes to the Burg loves about this old trendy city that we call home. Check back here, as well as on our Facebook and Instagram pages, every week to see what community members and visitors we’ve spotted around Williamsburg have to say about why they’re #LovingTheBurg.